Google Street View has long expanded from the streets, allowing us to visit museums, parks, and even go underwater, but now it goes even further away, into orbit, letting us feel what it's like to be aboard the International Space Station. Google Maps and Street View are amazing tools for anyone that, in their infant years, was mesmerized by those amazing photographs of our planet seen from high above, in the huge and heavy Atlas books. Back then, we wished we were able to zoom in on any part of the world... something anyone can do today with Google Maps and Google Earth, and go even further with Street View, which lets us know what it would be to be there. 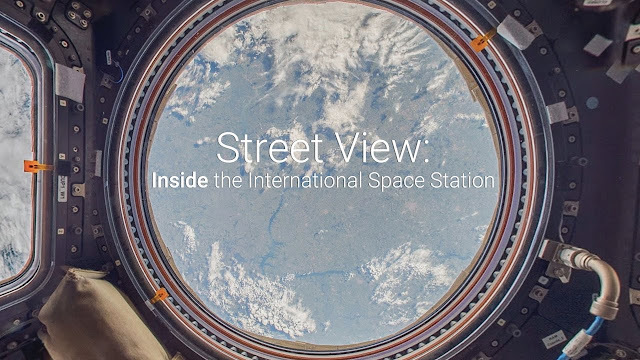 Now, we can explore the ISS on Street View, which is to say: it's the best (and only) option for the billions living "down here" to have a slight feel of what astronauts feel when they're up there, inside this tiny space station and its 15 modules, zooming around the Earth.